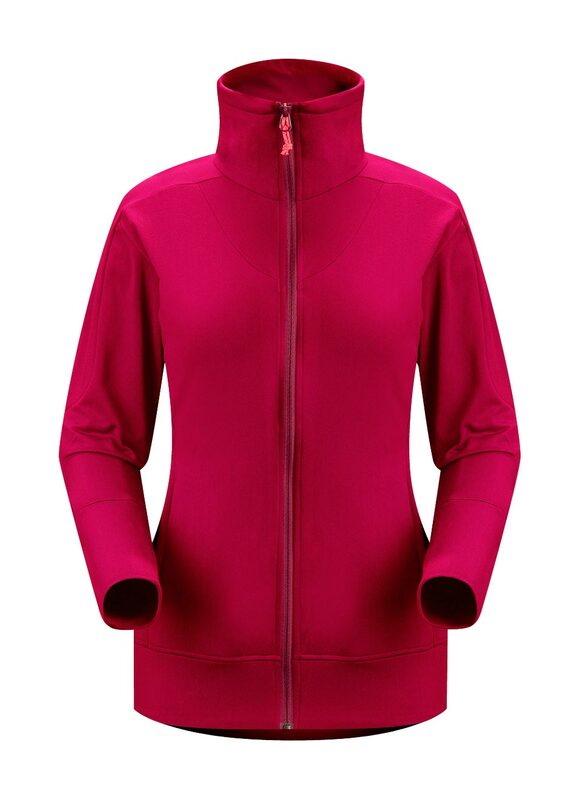 Arcteryx Cassis Rose Solita Jacket | Arc'teryx Jackets Women Online Sale! Nordic/Snowshoeing / Endorphin/Fitness / Running This fully-zippered go-anywhere jacket with a tall collar, is made of moisture-wicking polyester that is perfect for fast-forward outdoor activities like trail running or hiking. Reflective blazes add visibility in low light, and the longer sleeve cuffs have thumb loops for total hand protection. The front zippered hand pockets are suitable for stowing small items. Rentex Powerflex��Polyester/Lycra blend Machine wash in warm water.